2. All the motor pumps and seal kits of cylinder are import from Italy. 3. All the hydraulic cylinders are import from TaiWan. 4. Inside of cylinder assy has the special treatment and make sure that is doesn’t leak oil. 5. 24V control system and limited switch. 6. While switch is addedary, it is controlled long distantly. Low voltage control system matches CE standard. 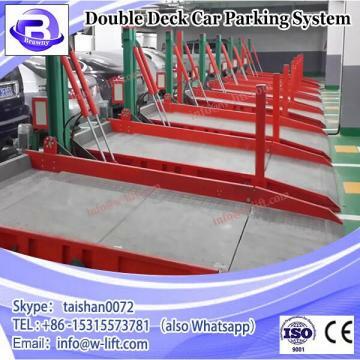 24V limit switch on carriage and overhead bar prevent damaging vehicle roof. Screw-up pads design makes so easy and quick contact with vehicles’ pickup points. Reliable cylinder, chrome-plating honed tube and piston rod, in each column provides long service life. Anti-surge valve that equipped in hydraulic joint ensures no danger in case of oil hose broken. Aluminum motor and car door protection are standard. 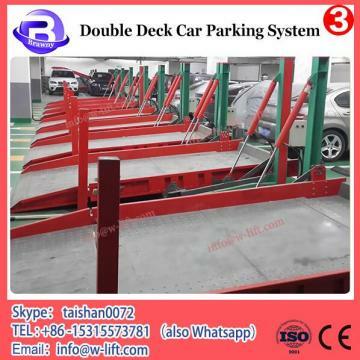 The car park systems of the product is 2300kgs. It is a great option for regular SUVs and large sedans. Thanks to the single-cylinder design,the end user can save cost on both purchasing and maintenance. 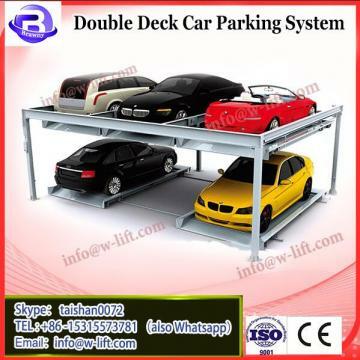 Two Post Parking lifts are warranted for 10 years on structural parts such as columns, platforms, carriages and so on, and 3 years for non-structural parts like power pack and electrical parts etc. The warranty is effective immediately from the date the invoice is issued.